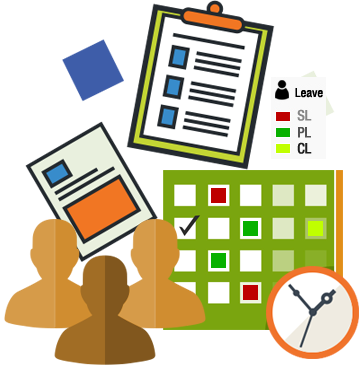 One of the best ways to ensure easy scheduling at a glance reporting is with reliable leave management software. Making employees responsible for scheduling changes, requests and leave with an easy to use software program shifts some of the liability from management. HRM Thread makes leave management simple for employees and managers. This real-time software allows for immediate requests, changes and accountability by both parties. Managers will spend a lot less time worrying about scheduling, it takes care of itself. You will be able to track employee’s attendance and make easy adjustments. It makes management duties for time and attendance fluid and easy to manage. Managers are freed up to focus on other responsibilities. This software increases productivity and reduces doubling up on work. Less wasted time means more focused productive time. It is a great tool for employee performance reviews. Automating your leave and scheduling will improve reliability for scheduling and remove the human error factor. Employees have their own profile. It is a far more reliable way to manage scheduling needs. It is important to know where employees are at all times. With our high-quality GPS enabled software, security is greatly enhanced because it will be easier to track employees. This at a glance software gives you all the information that you need to ensure that managers and employees are always on top of scheduling needs. You can sign up for a free trial today! Contact us to learn more! Submission of online Leave Application and supporting workflow.